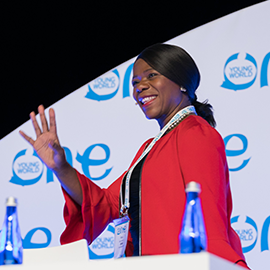 A Dutch Government minister, the head of Western Union and a leading Latin American newscaster are among new names added to a stellar line-up of Counsellors presenting at One Young World 2018. 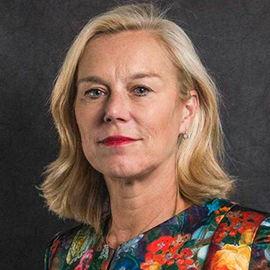 The Summit, held in The Hague, Netherlands, will feature a contribution from the Dutch Minister for Foreign Trade and Development Cooperation, Sigrid Kaag, who previously held a series of senior positions at the United Nations. As UN Under-Secretary-General, led the mission to eliminate chemical weapons in Syria in 2013-14. After this mission was completed, in 2015 she became Under-Secretary-General in Lebanon. She was awarded the Carnegie Wateler Peace Prize in 2016 in recognition of her work in the Middle East. 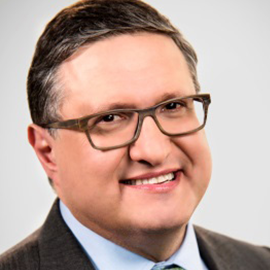 Hikmet Ersek is President, Chief Executive Officer and Director of The Western Union Company, a Fortune 500 global leader in digital and retail cross-border money transfer and payments services. 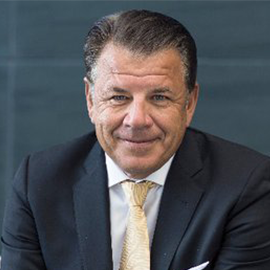 Mr Ersek became CEO in 2010 and, under his leadership, the 166-year-old Western Union has evolved its business to become a global payments company with more than 550,000 worldwide agent locations, more than 100,000 ATMS and kiosks, and customers in more than 200 countries. A citizen of Austria and Turkey, Ersek draws on his international background to speak out publicly for the rights of migrants and refugees worldwide. One of Colombia’s best-known journalists, Ilia Calderón, will also be addressing One Young World delegates for the first time. 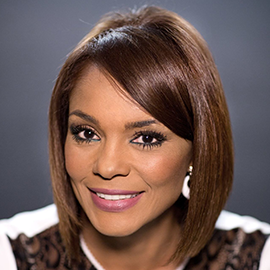 Ms Calderón is the co-anchor of the 6.30pm bulletin on Noticiero Univision, the news division of the Miami-based Spanish language broadcaster Univision. 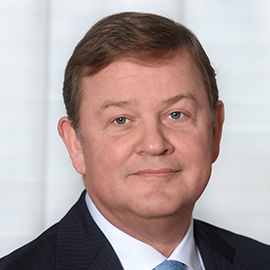 Feike Sijbesma is the CEO of DSM, a global life-sciences and technology company. Under his leadership, DSM repositioned itself from a chemical company into a Life Sciences & Materials Sciences company, focusing on health, nutrition & materials, expressed in a new brand of which "Bright Science. Brighter Living" forms the core. He is Chair of the High-Level Leadership Forum on Competitiveness and Carbon Pricing, and Champion of the Carbon Pricing Leadership Coalition (CPLC), both convened by the World Bank Group as well as Non-executive Director at Unilever among other board positions. Mr Lulin is a Fellow of the Ethics Resource Center (Washington), a member of the Global Council on Business Conduct (New York), and of the Ethics Committee of the French Institute of Directors (IFA). Advocate Madonsela was a leading figure in anti-apartheid politics, participating in the African National Congress (ANC) and the United Democratic Front and was part of the team that drafted the final Constitution of South Africa as promulgated by Nelson Mandela. She has written extensively, published and provided training on various aspects of the law, equality and human rights. Eh Bee Family is a social media phenomenon that has amassed over 18 million followers. 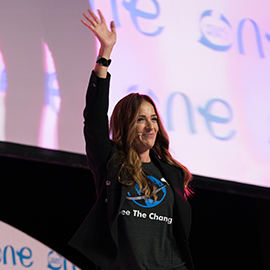 She uses her social media influence to promote positive change by sharing her stories of struggle and courage to empower others. She has initiated a foundation, Bee The Change, funding organisations that promote social justice. 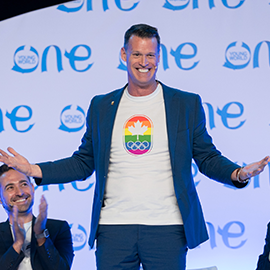 Mark is a recognised leader of social change, as one of the first openly gay Olympic champions in the world. The author of three books, he sits on the Board of Directors for Special Olympics Canada. 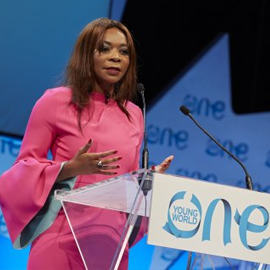 Dr. Dambisa Moyo is a global economist and author who analyzes the macroeconomy and international affairs. She advises companies, corporate boards, CEOs and management on investment decisions, capital allocation and risk management. Her work has taken her to more than 70 countries over the last decade, during which time she has developed a unique knowledge on the inherent conflicts facing developed economies, as well as the interaction between politics, international finance and global markets. he is the author of the New York Times bestsellers ‘Dead Aid: Why Aid is Not Working and How There is a Better Way for Africa’, ‘How the West Was Lost: Fifty Years of Economic Folly and The Stark Choices Ahead.’ Her third book was ‘Winner Take All: China’s Race for Resources and What it Means for the World’. 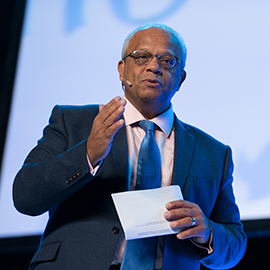 In 1996 Lord Hastings became the BBC’s head of Public Affairs and then its first head of Corporate Social Responsibility in 2003 before becoming KPMG international’s Global Head of Citizenship in 2006. He is a member of the global Millennium Promise Board and President of ZANE - a development aid agency focused on Zimbabwe.